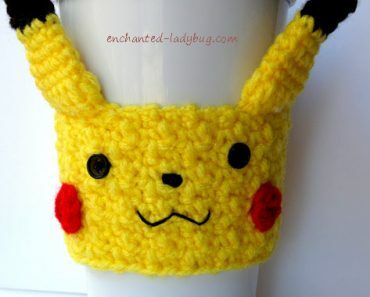 A few days ago, I posted my crochet Winnie the Pooh coffee cup cozy pattern, so I thought I would post my pattern for his best buddy Piglet today! I received a custom order request in my Etsy shop from someone who wanted Piglet! 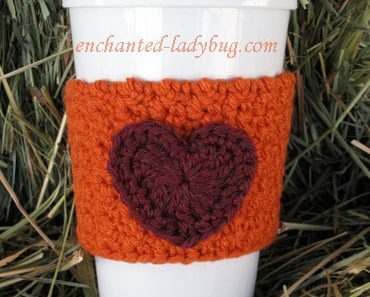 I was excited to make this cozy because I have always loved Piglet! 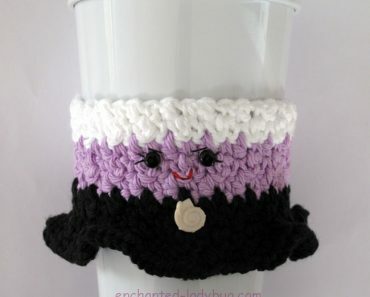 My crochet Piglet cup cozy is larger than most of my other cozy designs. I wanted to make sure I had enough room to add his striped shirt and still have enough of the light pink for his face! 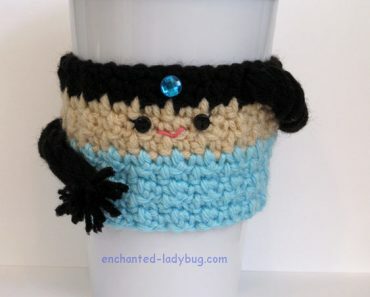 I used a 4.0 mm crochet hook for this pattern. The light pink is Caron Simply Soft in soft pink. The dark pink and black were scraps I had left over from other projects. I sewed two small buttons to his face using black embroidery floss. 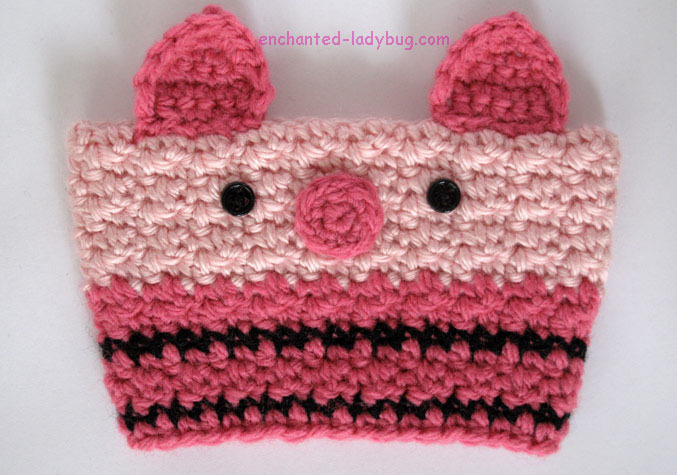 I would love if you share your Piglet cozies on my Facebook page when you finish! 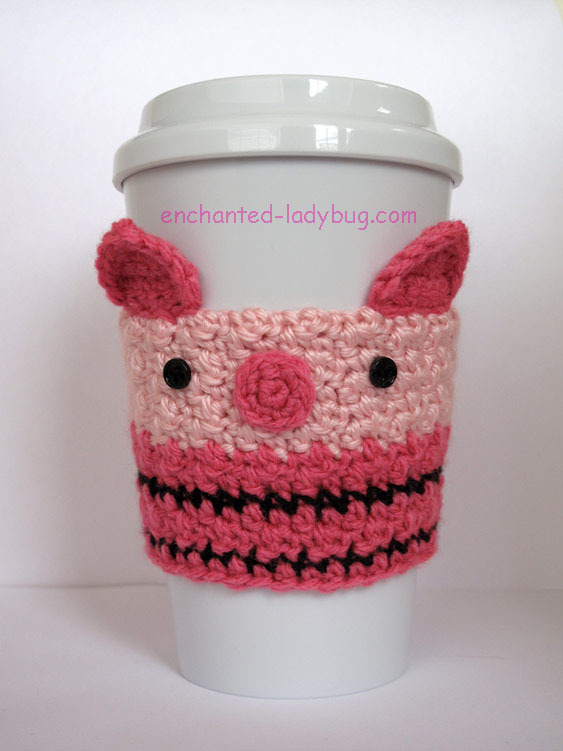 You can download the free Crochet Piglet Coffee Cup Cozy pattern below! 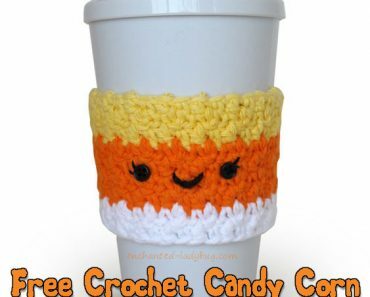 You can also find my Free Crochet Tigger coffee cup cozy pattern here! Funny! I am glad you like it! Thanks for stopping by!